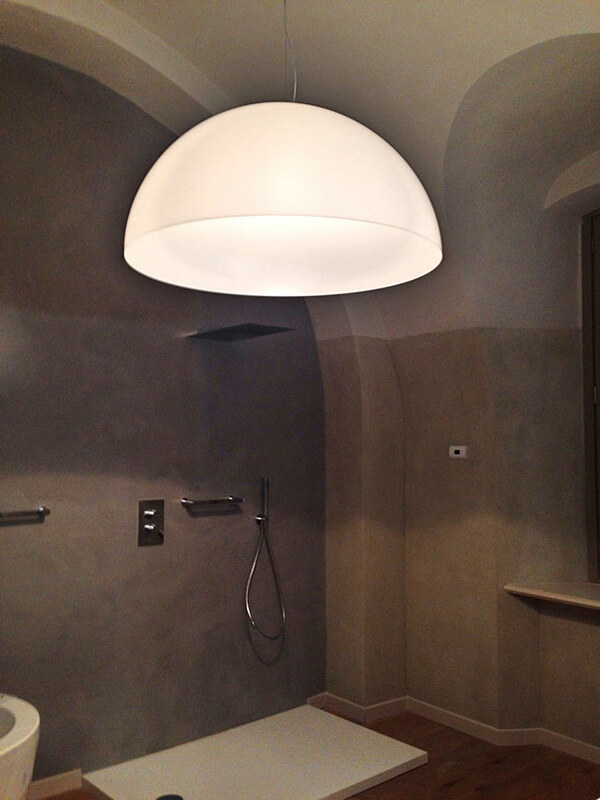 Oluce has designed the lighting chosen for the new Villa Del Borgo Relais in Canelli, the ancient residence built between the 18th and the 19th century, that has undergone a conservative restoration process to preserve its architectural and historic details while combining these with modern, designer furniture – within the context of the interior design project led by architect Dario Leardi. 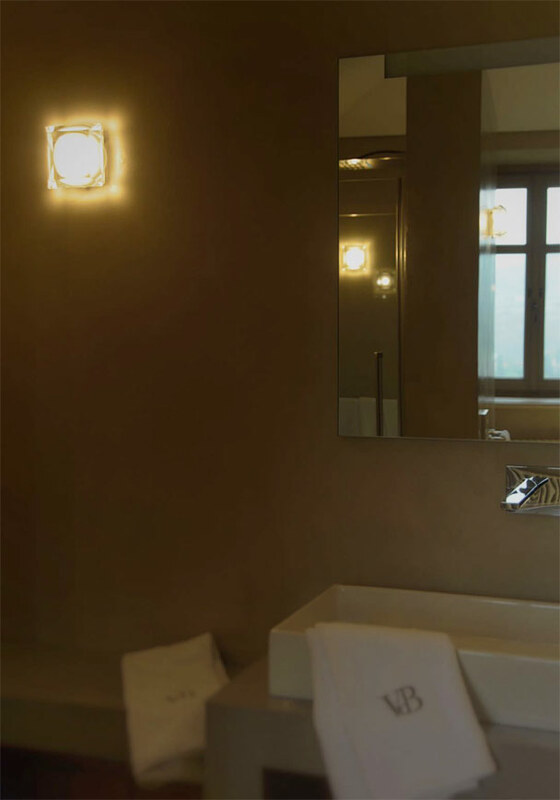 Inside the suggestive Relais environments, characterised by coffered ceilings, stone walls, reclaimed wood flooring and large barrel vaults, the Oluce lamps create a contrast with their geometric, traced lines, giving the space a contemporary style. 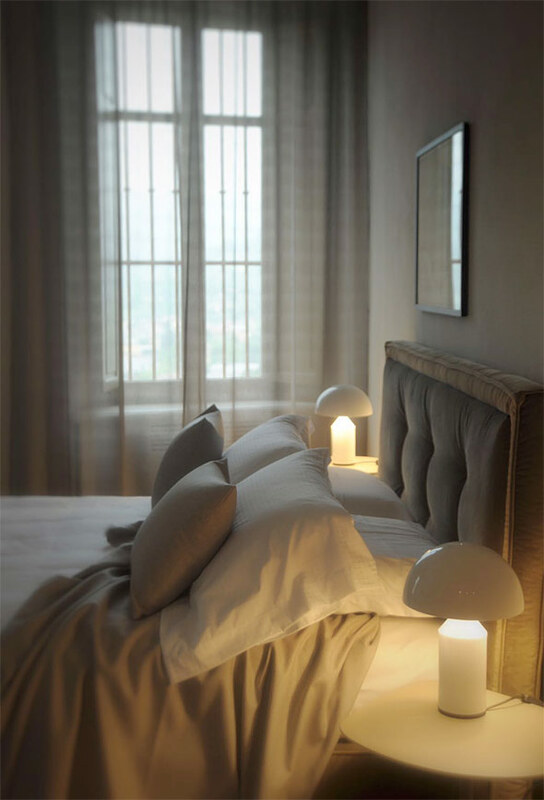 Alongside the range of products present in the catalogue, the project also focused on the company’s Bespoke Tailoring services to create a particular, customised version of one of its most renowned icons, the Atollo lamp, especially manufactured in white metal for the Relais project itself. The Oluce Bespoke Tailoring service was established to meet contract market demands. 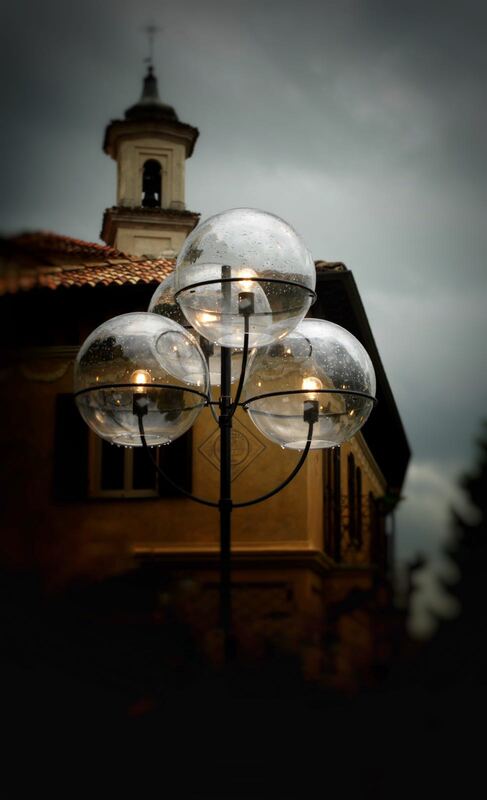 In fact, this service makes it possible to purchase lamps that are adapted versions of already existing products in the collection – as in the case of Villa Del Borgo – or that are made-to-measure to fulfil specific needs, based on the designer’s technical drawings. In addition to Atollo, the selection of products for this project includes both outdoor lamps, such as the timeless Lyndon floor lamp by Vico Magistretti, as well as products designed for indoor use, combining iconic items – such as Sonora by Magistretti – with contemporary products. 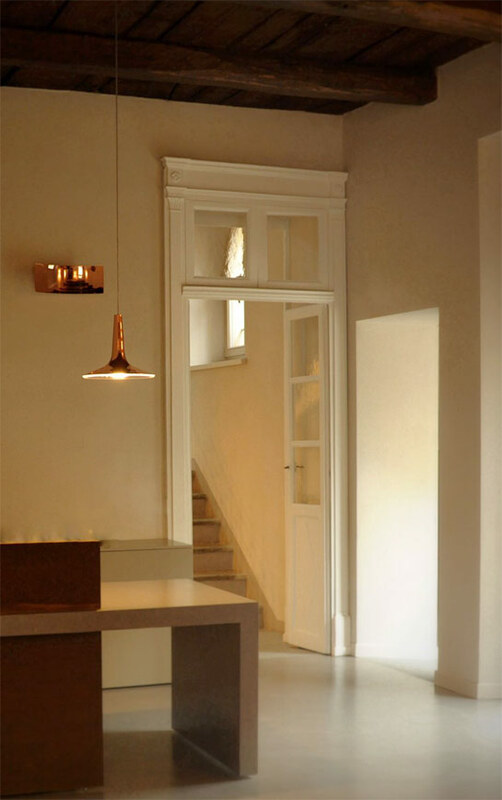 Lys lamps, designed by Angeletti & Ruzza belong to this category, mounted on a multi-lamp ceiling rose to create a cascade of light inside the stairwell, alongside the Kin suspension and Lens wall lamps, both designed by Francesco Rota. 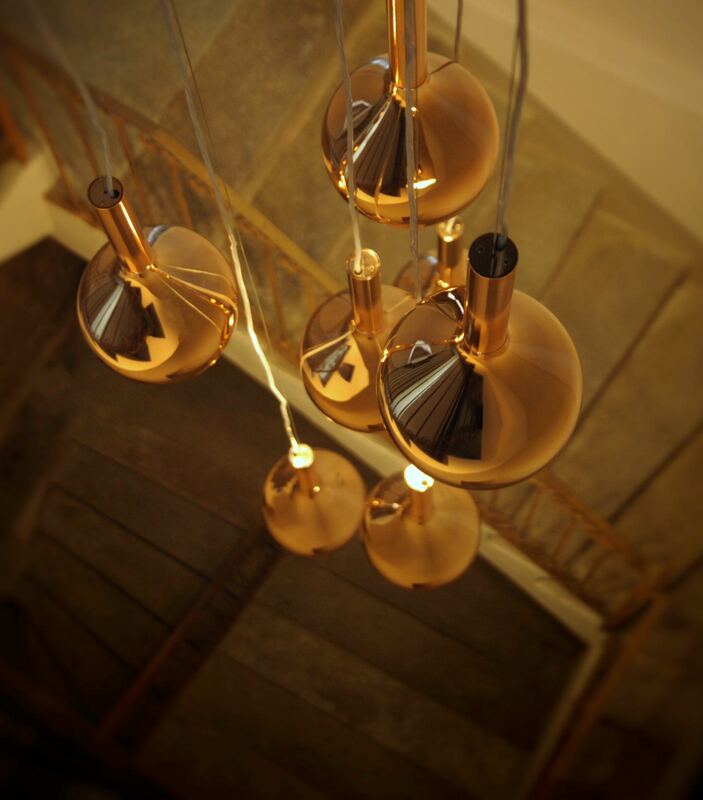 The precious shiny copper finish chosen for these creations adds a refined, modern touch to the Relais premises. Superluna designed by Victor Vasilev, located in the restaurant area to create an intimate, sophisticated environment, together with the Stone of Glass lamps by Laudani & Romanelli and the Diamond applique complete the range of products.